If you have been on the lookout far and wide for unique gifts for boys, you have come to the right place! On the following page you will discover exactly what kind of products kids love to play with; with a mix of educational, exciting, and simply cool stuff, you will find something for them here. 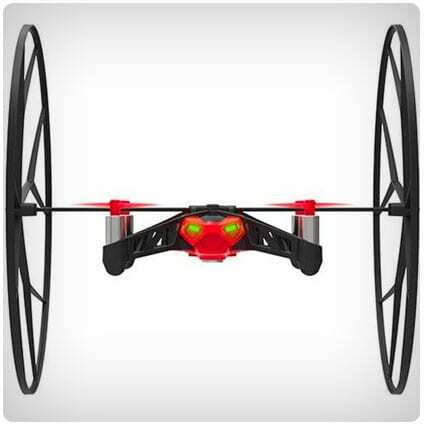 This mini drone is unlike any other. With two large wheels attached, alongside 4 powerful propellers, this drone can fly, roll, spin and even defy gravity as it drives up walls. With a mini camera attached, the drone can even film as it flies, allowing the user a privileged view of the world via Bluetooth. Robots are incredible. If you would like your little one to have the opportunity to learn a lot about programming and robotics in a simple and fun way, the Sphero SPRK+ is the way to do it. The accompanying app allows little ones easy access to the robots coding, and is as educational as it is exciting. Children deserve to be allowed an understanding of the human body. Teach children a lot more about our biology with this little patient plush character. Kids can open them up and see all of their insides as they learn about different organs with the included information booklet; how awesome? Check out the Anki Overdrive starter set if you would like your children to be able to play with the future of toys. Watch as your kids set up their very own track and then use their smartphones to program and battle against their friends or AI; with so much technology included, it’s fantastic. Would like your child to use their creative mind and their imagination to build their very own marble coaster? With pre-cut pieces of wood included, this ingenious set will give your little one the opportunity to create a fun, hand-powered coaster that will bring a ton of DIY joy to their life. Zombie Blast is THE game that your child needs to be introduced to right now! Turn on the included zombie and watch as it walks towards you, craving brains. Equipped with an infra red revolver, you have 30 seconds to destroy the zombie and shoot off its hat and its arm before it gets you. If you are looking to get your child a complete collection of the Harry Potter books, settle for no less than this. Brought to us by Juniper books, this cardboard Harry Potter trunk contains all 7 hardback books in your choice of house colors, perfect for any and every magic fan. Night lights are an imperative part of childhood – they provide an essential comfort that all kids crave. This beautiful looking night light can be left on all night or can be touch activated, allowing children to control the light. With your choice of color and design, you can find one that your little one will love. Young children need a way to be able to get out their fears and worries – it helps teach them how to deal with their emotions. These worry-eating plush pals are here to help alleviate little one’s worries by allowing them to write them down, and have them gobbled up by their new, cuddly friend. Straight from Think Geek comes these fantastically fun slippers. Perfect for both kids and adults, the oversized plush slippers have been designed to look just like 2 zombie heads, hungry for human guts. If you’re little one loves to laze around, these could suit them perfectly. Optical illusions are so much fun, right? Half of them can be explained by simple science, but that does not make them any less exciting. Children can use this educational set to learn some of the best science based optical illusions that will amaze their friends and family. Is your child fascinated by flight? Handmade by master kite makers in China, this simple pigeon can actually fly with your little one’s help. Powered only by a rubber band, all your child needs to do is wind it up and watch as the wings flap and the bird flies. Water resistant and sturdy in design, this is the best backpack your little one will ever receive. Made from a cool material that allows it to be drawn on, this backpack will don whatever design your child decides to decorate it with! Personal and extremely fun. Is there a child in your life that is a big fan of the Legend of Zelda? If so, they may have mentioned the famed Ocarina of Time. If they have, you can use this handcrafted replica Ocarina to make them really happy. Perfectly playable, this instrument is something that they will truly love. Chess is the game that can provide enormous amounts of fun, so just imagine how cool it would be to play with this enormous chess set. The heavy duty nylon board has been paired with huge chess pieces that allow for big games full of good times. 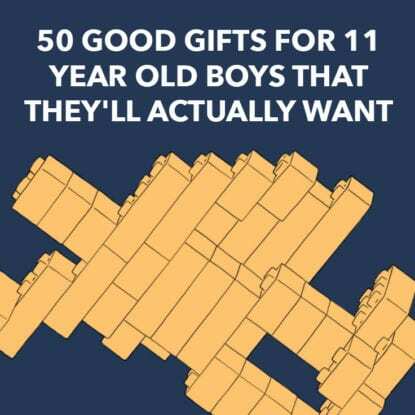 A truly unique gift for boys. Instant pictures are great. This zero ink digital camera will give your child the tools to take a picture, print it instantly and then, if they like, they can share it to multiple platforms! High quality pictures paired with a high quality, great looking camera. Have you ever seen a 3D pen in action? They are absolutely incredible. Their special design allows users to draw, doodle and create their very own designs in actual 3D. With everything needed to get your little one started included in this set, you really can’t go wrong. Stop motion animation has been used to create some of the very best cartoons and films that have ever been produced. Simple to replicate, this set provides your child with the equipment that they need to start making their own stop motion films with clay. Follow the link to see it in action. From Endertoys comes this exciting mini figurine. With a mystery cape and 2 accessories included in the box, this pixelated ‘vibrant girl’ action figure is ready to bring a lot of fun to your little one’s toy box. Fully articulated and interchangeable with toys from the same series. Bingo is fun, dogs are awesome, put them together and you have Dog Bingo. Fun for both kids and adults, this family game is a fun twist on the original game of bingo. Instead of searching for numbers, you are instead looking for dog breeds on your sheets. Educational and an awful lot of fun. Is there a sports lover in your life? Great stuff. If they love the magnificent game of baseball, allow them the chance to lay their head amongst a flurry of baseball themed sheets. This brilliantly exciting duvet cover will turn their bed into a massive baseball; they will never argue about bed time again. Inspired by the epic Thor: Ragnarok film, these Hulk smash fists will bring your kid a whole lot closer to their favorite Marvel action. The huge gloves will turn your child’s hands into the Hulk’s fists, complete with detail, while the motion sensor inside will activate a whole load of awesome sound effects for them to enjoy. Do you know of a child who loves nothing more than magic? Turn them into a magician with thanks to this magic set for kids. Full of fun tricks and illusions, little ones will be able to learn awesome tricks as well as the history of magic as they work through the set. The work of Leonardo da Vinci is still admired by many today. This simple building set comes with all of the pieces, and the instructions, needed to create a Leonardo da Vinci catapult. Simply glue the pieces together and you will have yourself a working catapult, how cool is that? Wowee, how awesome is this? The tree top wall toy is the wall mounted coaster that kids can hang in their bedroom. Beautiful to look at, there is a tree top theme throughout that children will love to look at as they follow the included caterpillar as she winds her way down the coaster. From the FunKo POP Marvel series comes this excellent rendition of Ant Man. The vinyl figurine stands at almost 4 inches tall and has been designed with impeccable levels of detail! Ideal for either play or display, he would make a great addition, or start, to any collection. Science is fun, and if anyone says otherwise they are lying, as science is behind some of the most awesome stuff on our planet; including these cool tricks. Invest in this set and watch on while your little one explores slime and gel as they learn and play at the very same time. Whatever adventures you and your little one get up to, the best way to document them is with a GoPro. The HERO4 comes with built in WiFi and Bluetooth and films at resolutions of up to 4K30. This superb little gadget even comes with new Night Photo and Night Lapse modes for night-time escapades. Straight from the Marvel series, this FunKo POP figurine is the perfect match for any and every Marvel lover. An imperative part of just about any FunKo POP collection, this yellow jacket Ant Man figurine looks incredible and will be welcomed to the rest of the collection with open arms. Is your little one a keen explorer? If so, you can use this DIY guide to make your child an explorer activity kit right at home. Full of awesome and useful stuff, they will be more than equipped to go in search of adventure and document exactly what it is that they find. Bath bombs are awesome, LEGO may be more so; however, when you put the two together, you get something really special. This guide will show you how to make your child their own set of LEGO bath bombs. Not only will it soothe their skin, they will find a mini figure inside each one. If your little one, like many others, adores the mystical world of Minecraft, this DIY article will teach you how you can make some brilliant and exciting Minecraft themed swords that your little one will love. Simple to make and fun to play with – what could be better? When purchasing gifts for 4 year old boys, it can be hard to locate toys that will still be popular after a few weeks. This list highlights toys that will maintain interest and have greater playing depth to them. From rawr-tastic dinosaur duvet sets and exciting ride-on trucks and tractors, to Sea Patrollers Paw Patrol fans will go crazy for – look no further because these are the most awesome gifts for 3 year old boys that they could ever ask for. 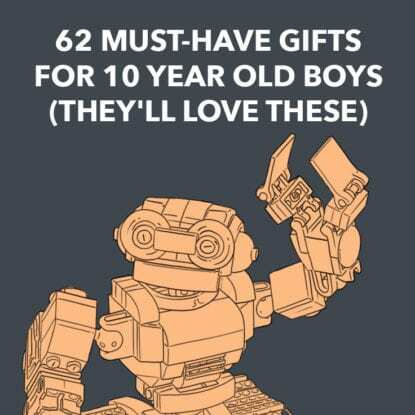 When debating what gifts for 5 year old boys are really engaging for them, check out this list of items that may just leave them speechless. With a wide range of expense involved, there is something to suit everyone’s pocket. 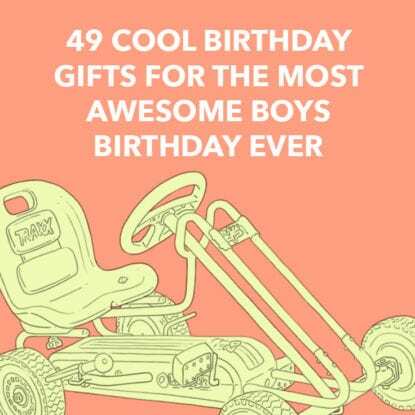 Take a look at this list of personalized gifts for boys and choose the perfect present for him. Whether you’re looking for something practical or fun, we’ve covered all bases and have included items such as a customized chef’s apron and a LEGO board which can have his name on the side.